dictionary, translator, translation, language, Windows, Androidom/to English, French and Spanish. 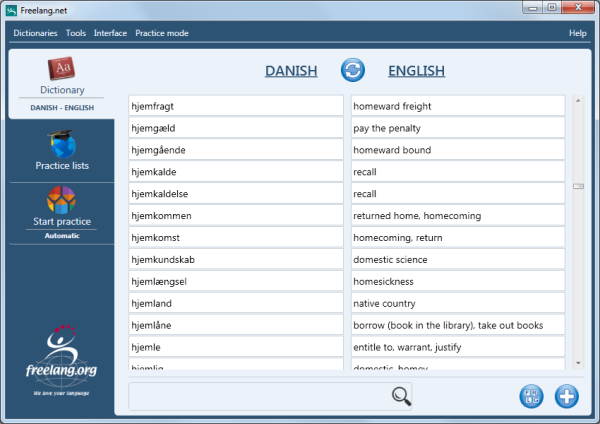 Add, delete or edit entries, or create your own wordlists. Practise your vocabulary with personal learning lists. Bug fix release and support for right to left languages.